The cannabis industry is booming as the laws begin to change in the United States regarding legalization of the plant for more than just medicinal reasons. Many states are lifting the veil on the usages of cannabis for recreation, while still touting its benefits for assistance with many illnesses, such as epilepsy and cancer. Some people say that within 10 years cannabis will be legal from coast to coast. Whether that’s true or not, remains to be seen. But one truth that never changes is that magazines are the reflectors of our society. And the cannabis industry is no exception as publications about the plant, the lifestyle and the business of growing it, have begun to be plentiful on newsstands across the country. One that stands out above many of the others is Cannabis Now, which according to co-founder and publisher, Eugenio Garcia, brings cannabis to a higher level in any conversation. I spoke with Eugenio recently about the magazine and he shared with me many interesting facets of the brand, such as Cannabis Now was the first cannabis magazine in the world for sale on iTunes and one of the few distributed in Barnes & Noble. 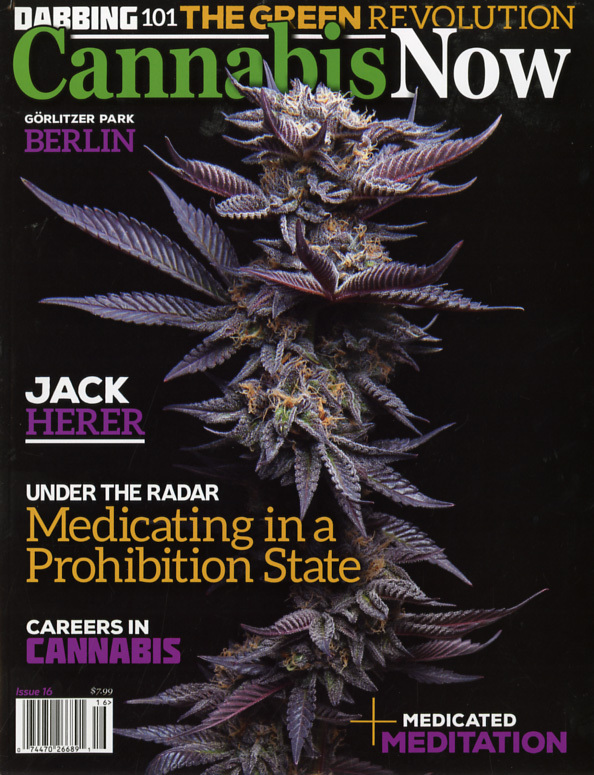 And a little history about how the magazine was started in 2012, when after Montana abruptly made it illegal for marijuana companies to advertise, Cannabis Now quickly shifted into the national market. Eugenio oversaw the expansion, helping Cannabis Now become the first magazine since the 1970s to successfully reach across the nation. In the process, he brought the magazine’s social media reach from 35,000 in August 2013 to 3.5 million followers in August 2015 — and according to Eugenio, made its Facebook page the largest interactive media page about marijuana in the world. Worthy accomplishments for a young man who has been a long-time advocate for cannabis and an entrepreneur since he began working as a cannabis industry consultant in 2008. So, I hope you enjoy the Mr. Magazine™ conversation with Eugenio Garcia – even though it isn’t actually 420. It’s always the right time for a great magazine story. On his ‘Aha” moment that gave him the idea for Cannabis Now: The ‘Aha’ moment came from the fact that I was a political science graduate with a minor in business. I was constantly looking for an opportunity. Here in Montana, I believe it was in 2004, when the laws changed and medical cannabis became legal. In 2010, I was living in San Francisco, and I had a close friend who was doing some growing of cannabis in Montana so I brought him back a publication called the West Coast Leaf, which was a newspaper-type publication that was focused on cannabis. I brought it to him as a gift, and it was he who actually came up with the concept in a moment saying, ‘We should have a medical cannabis journal for the rocky mountain region.’ That was the ‘Aha’ moment and we put out two publications that were focused to be a quarterly for the rocky mountain region. On his plan to become one of the top 100 magazines in the nation: Well, we built a foundation, a core group of about 10 passionate professionals in our core team that work on the day-to-day, and then we’ve accumulated a group of over 200 to 300 photographers, contributors, activists, politicians, who contribute to our magazine. We’ve developed the core base from which to build upon, and define our brand image, our quality standards, and our tone. On the DNA of the magazine and its mission statement: The DNA and editorial mission of the magazine is to educate, enlighten, and entertain. So, it’s really a three-tiered focus, which is fundamentally based on articles to bring education, first and foremost, to the readers. The demand for information is at the highest level. We also want to enlighten, so we want to bring a higher level of understanding about cannabis and the industry to the nation and the world. And we also want to entertain. On whether he’s trying to reach both the business and consumer communities with the magazine: Fundamentally, we are going after the end user. The business user, business leader is a natural by-product. Because we are in a very heightened level of transition in this space, there is more focus on the business than will be in the future just because of the acceleration. On why he thinks Cannabis Now in a print publication is the best resource for immediate information on cannabis: How can you be relevant if you’re a print publication when you have to be able to bring all the information together, digest it, make it pretty and distribute it? The print publication is I would say a quarter of our business. The media aspect of it – the web presence, the mobile app, the videos – they all support the now, the immediacy of the information. But the print publication puts it into a medium that is coming back into popularity. 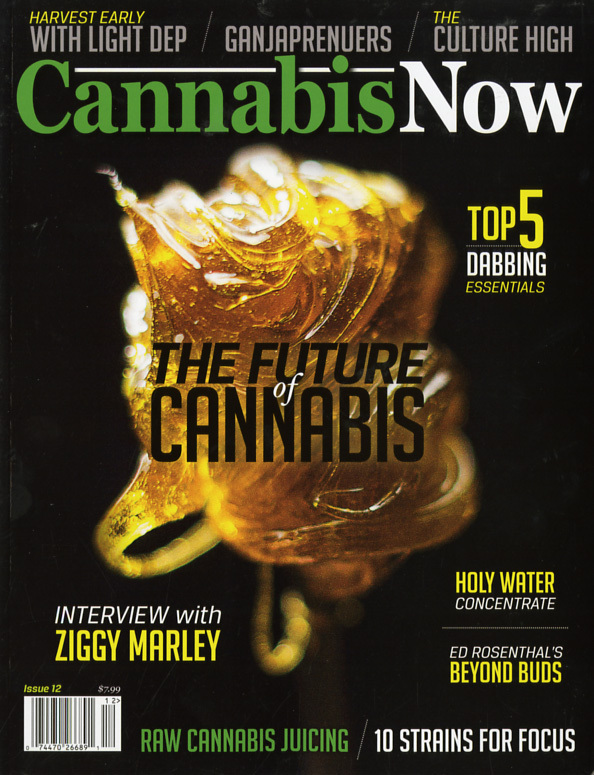 The print magazine is not the all-encompassing of what Cannabis Now is, but it’s a complement. Sometimes there is immediate, news-breaking stuff happening right now, and we will throw that up on our website right away. On how Cannabis Now is different from High Times, Skunk and Marijuana Venture magazines: You bring up three different magazines that actually operate in three different spaces in the larger dynamic, that being cannabis. High Times is a national publication focused on what they call the counter-culture, on what some classify as the aggressive smoker. The differentiation there is that we are looking at a user who is not so committed to that lifestyle, but they are committed to cannabis, which we believe is the greater population right now. The differentiation between Cannabis Now and High Times, the feedback that has been given to us, is that the conversations that we’re having are at a higher level, a more investigative level, and a more mature, for lack of a better word, model. For the other publications like Skunk, it is an international magazine; I believe they are published out of Canada. They are very focused on growing, and also a little bit of that counter-culture. As far as the last publication that you mentioned, that is a trade magazine and falls into the category of free regional publications that are being distributed in force. On whether maintaining that higher level of conversation makes his job easier or harder: (Laughs) Well, if you go to McDonald’s, it’s going to be somewhat easy to put the hamburger together and if you go to the Michelin Starred Steakhouse!, the job is going to be harder but more rewarding. Our challenge is how do we put out a high level product, while still keeping the cost down and the price low? A subscription right now for our magazine is $30 per year and $7.99 on the shelf. And our challenge over the next two years is to bring that price significantly down and not only for the magazine subscriptions, but for the apps which we’re going to be launching and our memberships too. On the 420 Goody Box: The 420 Goody Box is a partner that we have teamed up with; he’s actually a family friend who got into the industry after we started. And we’re actually working together. The 420 Goody Box purchases Cannabis Now, so the magazine is in their Goody Box, and they have a membership service where for a small amount of money you can receive a box full of cannabis-related items every single month that they source at a low cost. On whether they test out everything in the magazine: Absolutely. We battle over this all of the time in our meetings. We always come into situations at the most basic level of when we do product reviews. I’m actually on the left-hand side of things; I say, ‘Can’t we review this product without actually reviewing it?’ whether it’s a pipe or an edible or a piece of clothing. And our editorial staff is actually a good checks-and-balance for me as a publisher because they say, ‘Absolutely not.’ Everything needs to be vetted; all the sources need to be crosschecked and we’re not going to review anything that hasn’t been tasted or smoked or used by somebody that has the reference to give us. On where he sees Cannabis Now and the entire media brand one year from now: I would say that a year from now I would like to see us with at least a minimum of 400,000 magazines in circulation. I’d like for us to have an interactive online app, which has a minimum of 100,000 members that is able to produce media content that is rich with news and entertainment and video content. On his most pleasant moment throughout his Cannabis Now journey: One of the most rewarding long-term is the emotional and loving feedback that we get from readers, whether it’s mothers who are trying to cure their kids of epilepsy with cannabis or individuals who have chronic pain and are treating it with cannabis or just people who want to use it recreationally and have been scared for 10 years because of the laws. They’re all coming to us and saying thank you so much for putting out a magazine that we can actually read. There’s been nothing for us to read ever and thank you so much for it. Getting that kind of love back; that happens every day. On why Cannabis Now for the title, rather than Marijuana Now: We actually had a long week of trying to come up with our name. Are you aware of Cannabis Culture magazine? It’s no longer a print publication because Mark Emery was in jail so long, but we were actually not aware of Cannabis Culture when we started our magazine, so we were all excited about having the name Cannabis Culture, but then we quickly realized that it was already taken. So, cannabis is the closest, most accurate word for the plant. We want to bring the readers into what’s happening now with Cannabis Now. We don’t want them to have to spend a week researching it on the Internet or an hour flogging away. We want them to be able to read it right then in our publication. On anything else he’d like to add: All that I’d like to add is that we are in the most exciting time that I have witnessed as far as a change. I’ve never seen something like this happening. I look at the tech boom, the industrial revolution, just all of these different paradigm shifts. This is a paradigm shift and maybe only five come around in a century. The Slow Food movement is another paradigm shift. It’s such a pleasure to be a part of it and so rewarding to be able to be accepted. This paradigm shift is only going to happen once and to be involved in it at this level has been a true pleasure and a really humbling honor. On what keeps him up at night: Competition. Where there’s opportunity, there’s going to be talented people, thinking about how they can do it better, faster and cheaper. And I like I said; we’re a small fish swimming in a big ocean and I’m not worried about a bigger fish swallowing us up; acquisitions happen, that’s part of business. What I’m worried about is being swept away by the current and not being able to keep up with the school. And now the lightly edited transcript of the Mr. Magazine™ conversation with Eugenio Garcia, co-founder and publisher of Cannabis Now Magazine. Eugenio Garcia: The ‘Aha’ moment came from the fact that I was a political science graduate with a minor in business. I was constantly looking for an opportunity. Here in Montana, I believe it was in 2004, when the laws changed and medical cannabis became legal. In 2010, I was living in San Francisco, and I had a close friend who was doing some growing of cannabis in Montana so I brought him back a publication called the West Coast Leaf, which was a newspaper-type publication that was focused on cannabis. Samir Husni: Now, with things changing even more, what is your plan to really become one of those top 100 magazines in the nation? Eugenio Garcia: Well, we built a foundation, a core group of about 10 passionate professionals in our core team that work on the day-to-day, and then we’ve accumulated a group of over 200 to 300 photographers, contributors, activists, politicians, who contribute to our magazine. We’ve developed the core base from which to build upon, and define our brand image, our quality standards, and our tone. Now we are doing a seed round of investments from which we will start to wrap up our distribution, expand our web presence, develop our app from which to have a platform for not only our publication, but also our multi-media venture for Cannabis Now. Samir Husni: Lets go a little bit backwards, for people who don’t know about Cannabis Now, tell me about the DNA of the magazine. What are you offering? What is your mission statement? What are you trying to accomplish with this magazine? Eugenio Garcia: The DNA and editorial mission of the magazine is to educate, enlighten, and entertain. So, it’s really a three-tiered focus, which is fundamentally based on articles to bring education, first and foremost, to the readers. The demand for information is at the highest level. We also want to enlighten, so we want to bring a higher level of understanding about cannabis and the industry to the nation and the world. And we also want to entertain. I think it’s really important to be entertained, not everyone is a scholar. In order to capture attention and to give the opportunity for them to be engaged, you need to put in a medium that is entertaining. That is really what differentiates us, and which has really caused our leaders to gravitate toward our publication. Cannabis Now’s focus is to bring a higher level of conversation and entertainment to the cannabis enthusiast. Samir Husni: Are you trying to reach both the business community and the consumer community? Eugenio Garcia: Fundamentally, we are going after the end user. The business user, business leader is a natural by-product. Because we are in a very heightened level of transition in this space, there is more focus on the business than will be in the future just because of the acceleration. We are Cannabis Now and our job is to highlight what is happening now because the business aspect of the space is growing so rapidly you’re going to see a lot more of that in our editorial coverage right now. We are not a trade publication; we are more focused on the end user. Samir Husni: Your tagline is the future of cannabis is happening now, with the focus on now. Do you think a print publication is the best way to curate all that information? When people can go to the web or their mobile phones and get all that information at their fingertips? What makes a print publication the source for what is happening in Cannabis Now? Eugenio Garcia: How can you be relevant if you’re a print publication when you have to be able to bring all the information together, digest it, make it pretty and distribute it? The print publication is I would say a quarter of our business. The media aspect of it – the web presence, the mobile app, the videos – they all support the now, the immediacy of the information. But the print publication puts it into a medium that is coming back into popularity. I think in the last 10 years for publications there has been a downtrend of desire for print publications. But, specifically for niche focuses and for connoisseurs, having that print medium is a fundamental need in the core business. 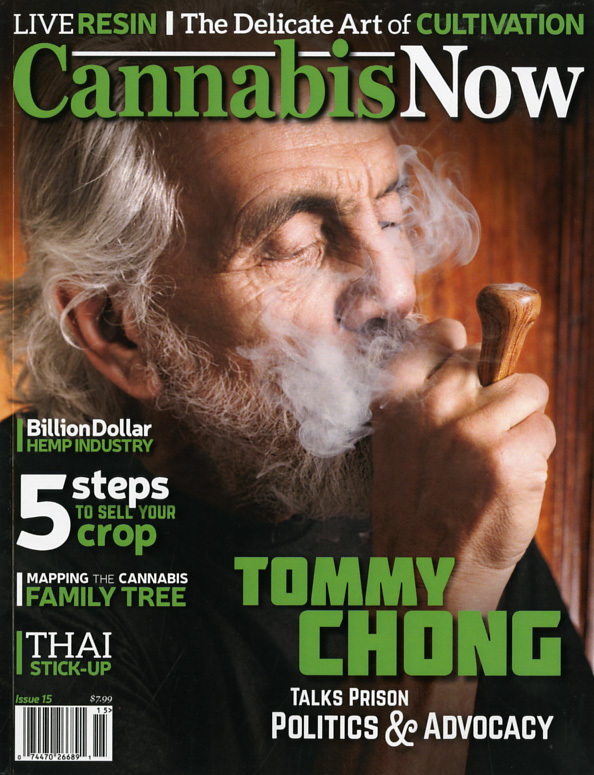 The print magazine is not the all-encompassing of what Cannabis Now is, but it’s a complement. Sometimes there is immediate, news-breaking stuff happening right now, and we will throw that up on our website right away. Then there is also more investigative journalism pieces that not only will we put on our website and make it available digitally through our app, and at the same time will be available in print for people to read in comfort and to archive. Samir Husni: If you go to an advertiser and are trying to get an ad for the magazine, if somebody asks you, ‘How are you different than High Times, Marijuana Venture or Skunk?’ what is your point of differentiation? Eugenio Garcia: You bring up three different magazines that actually operate in three different spaces in the larger dynamic, that being cannabis. High Times is a national publication focused on what they call the counter-culture, on what some classify as the aggressive smoker. The differentiation there is that we are looking at a user who is not so committed to that lifestyle, but they are committed to cannabis, which we believe is the greater population right now. The differentiation between Cannabis Now and High Times, the feedback that has been given to us, is that the conversations that we’re having are at a higher level, a more investigative level, and a more mature, for lack of a better word, model. On the inside of the industry, just to give you some insight, a lot of the feedback we are getting from advertisers is that High Times is not focused on their magazine, it’s not their priority. They are focused on their Cannabis Cups, so a lot of the interactions and relationships that are fundamental between an advertiser and a publisher are not being taken care of or conducted in the spirit at which the industry is at right now. And that’s just the feedback we’re getting from our advertisers. So if an advertiser asks me, ‘Why should we advertise with you?’ not only would I talk about our high level of conversation, but I would also talk about that we are more focused on the advertisers than potentially High Times is right now. For the other publications like Skunk, it is an international magazine; I believe they are published out of Canada. They are very focused on growing, and also a little bit of that counter-culture. They were actually just purchased, I believe, or acquired by a much larger parent company, so I don’t know if they have the DNA and the spirit and the special sauce at which a publication might need right now to communicate as dynamically as we have the potential too. I have to say I’m a big fan of both High Times and Skunk Magazines. As far as the last publication that you mentioned, that is a trade magazine and falls into the category of free regional publications that are being distributed in force. Also another magazine we are big fans of is Dope Magazine, that’s a Seattle free publication. Culture Magazine is another free publication, which is also going after the counter-culture individual and hasn’t really been able to break through to that higher level of conversation. What I’m most proud of for our team is that we have been able to tap into that vein of higher level conversation, which nobody else is doing in the world right now. Samir Husni: Having said that, does that make your job easier or tougher? Eugenio Garcia: (Laughs) Well, if you go to McDonald’s, it’s going to be somewhat easy to put the hamburger together and if you go to the Michelin Starred Steakhouse! the job is going to be harder but more rewarding. Our challenge is how do we put out a high level product, while still keeping the cost down and the price low? A subscription right now for our magazine is $30 per year and $7.99 on the shelf. And our challenge over the next two years is to bring that price significantly down and not only for the magazine subscriptions, but for the apps which we’re going to be launching and our memberships too. So for the services that we provide and for that quality to remain high while still not having it cost a lot for the end-user will be our challenge. But that’s the challenge for any business, I believe. Samir Husni: Would you rather see your competition go up in smoke, no pun intended, or you’d like to join them in the bigger ocean? Eugenio Garcia: I think there’s a lot of room for media and for publications, but I would like for us to be the leader. I think it’s a responsibility to lead. High Times has been a leader in this space for a long time, but now the space has changed. And with leadership comes a responsibility. And I trust that we are responsible to communicate this message the way that it should be. And we won’t mess it up. Eugenio Garcia: Pay attention to the 420 because the cultural aspect; you just wouldn’t believe. The 3½ million fans that Cannabis Now has on Facebook is indicative of how passionate this industry is, so the 420 lifestyle and the 420 thought process; pay attention to that because that’s a big part of what’s going on. And also pay attention to what’s happening in Israel, the biochemistry, the science, the medicine; it’s blowing up on both ends. The cultural 420 thing is blowing up, but also the business and medicinal science is going toe-to-toe with it. Samir Husni: What’s your 420 Goody Box? Eugenio Garcia: The 420 Goody Box is a partner that we have teamed up with; he’s actually a family friend who got into the industry after we started. And we’re actually working together. The 420 Goody Box purchases Cannabis Now, so the magazine is in their Goody Box, and they have a membership service where for a small amount of money you can receive a box full of cannabis-related items every single month that they source at a low cost. So, they’re able to source the products at a lower cost than when you buy the items traditionally at retail stores. And they also put together the ensemble instead of you having to shop them, so different businesses, not connected, but partners for fun. Samir Husni: I have to ask this question; is everything in the magazine tested? Do you have like a Good Housekeeping test kitchen? Eugenio Garcia: Absolutely. We battle over this all of the time in our meetings. We always come into situations at the most basic level of when we do product reviews. I’m actually on the left-hand side of things; I say, ‘Can’t we review this product without actually reviewing it?’ whether it’s a pipe or an edible or a piece of clothing. And our editorial staff is actually a good checks-and-balance for me as a publisher because they say, ‘Absolutely not.’ Everything needs to be vetted; all the sources need to be crosschecked and we’re not going to review anything that hasn’t been tasted or smoked or used by somebody that has the reference to give us. And I’m glad you brought that up because that’s actually one of the strongest feedback that we get from our readers and our clients, is that you can tell that the information has been vetted and source-checked and properly investigated, which is rare. Samir Husni: Did you ever lose any of your staff after testing? Eugenio Garcia: No, they’re the ones who are challenging me not to just push things through, whether it’s a story or a product review or whatever it is; they’re committed to excellence. The brand image of Cannabis Now is that we’re the highest level voice out there and so people need to trust us. You break the trust once; they read something or we say, ‘Hey, this is the best pipe around,’ and they get it in the mail and it’s a piece of crap, we’ve lost that customer for life. Samir Husni: Where do you see yourself and the magazine or the media brand as a whole one year from now? Eugenio Garcia: I would say that a year from now I would like to see us with at least a minimum of 400,000 magazines in circulation. I’d like for us to have an interactive online app, which has a minimum of 100,000 members that is able to produce media content that is rich with news and entertainment and video content. I also see us producing documentaries, publishing books and potentially working on some higher level media like network television, interaction for cannabis; I believe that a demand for video content is extreme. So a year from now we’re just going to be getting into all that. Right now we’re fundamentally focused on expanding our print publication, but we will be transitioning into the media aspect as we stabilize the print product. 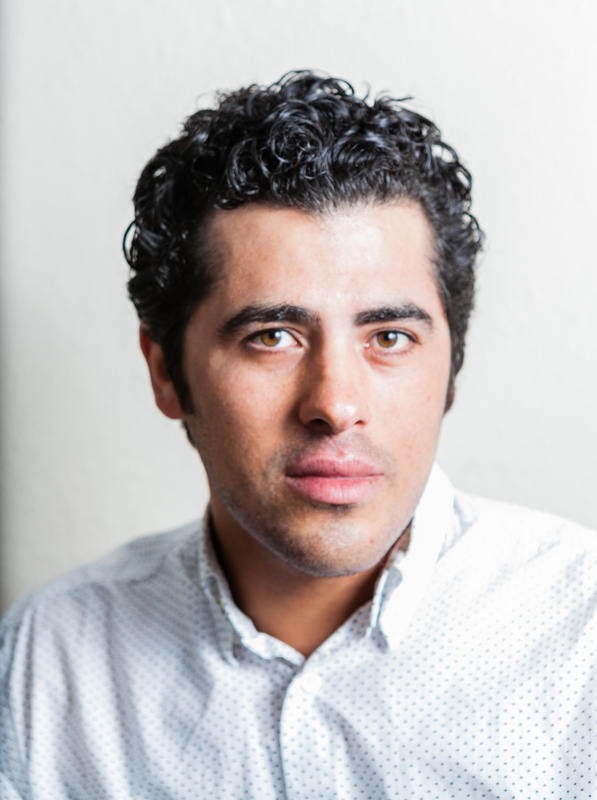 Samir Husni: What’s your print circulation now? Eugenio Garcia: Right now we have 50,000 in circulation. That’s a combination of the digital downloads of our app and our print magazine at 20,000. We’re just a baby fish swimming in a big ocean. Samir Husni: (Laughs) But it’s a very beautiful fish. Samir Husni: The major stumbling block for you had to be, as you mentioned, when they changed the laws and you had to move to California. But what has been the most pleasant moment throughout your Cannabis Now journey? Eugenio Garcia: One of the most rewarding long-term is the emotional and loving feedback that we get from readers, whether it’s mothers who are trying to cure their kids of epilepsy with cannabis or individuals who have chronic pain and are treating it with cannabis or just people who want to use it recreationally and have been scared for 10 years because of the laws. They’re all coming to us and saying thank you so much for putting out a magazine that we can actually read. There’s been nothing for us to read ever and thank you so much for it. Getting that kind of love back; that happens every day. Being the entrepreneur that I am, I’ll answer your question in a more business way. Being accepted to iTunes was big for us. We were the first magazine in the world to be accepted to iTunes. And I think it was a reflection of the fact that iTunes had rejected cannabis magazines for years and cannabis media for years because of the stigma. And we were able to show them that cannabis can be communicated in a higher level way that’s appropriate for their brand image. So basically, what I got from that was Apple saying that their brand is OK with our brand, which validated what we’re doing. And it was great. Samir Husni: Forgive my ignorance, why Cannabis Now and not Marijuana Now? Eugenio Garcia: (Laughs) We actually had a long week of trying to come up with our name. Are you aware of Cannabis Culture magazine? Eugenio Garcia: It’s no longer a print publication because Mark Emery was in jail so long, but we were actually not aware of Cannabis Culture when we started our magazine, so we were all excited about having the name Cannabis Culture, but then we quickly realized that it was already taken. So, cannabis is the closest, most accurate word for the plant. Marijuana has a strong history, coming from the Spanish derivation ‘marihuana’ which we actually believe for the historical purposes came into being around the early 1940s and 1950s. It’s a derogatory word from the historical context, but now it’s more mainstream. Most people don’t know the history behind the word has strong connotations that we didn’t want to be associated with and cannabis seemed like a more positive and accurate term for the medium. We want to bring the readers into what’s happening now with Cannabis Now. We don’t want them to have to spend a week researching it on the Internet or an hour flogging away. We want them to be able to read it right then in our publication. Eugenio Garcia: All that I’d like to add is that we are in the most exciting time that I have witnessed as far as a change. I’ve never seen something like this happening. I look at the tech boom, the industrial revolution, just all of these different paradigm shifts. This is a paradigm shift and maybe only five come around in a century. The Slow Food movement is another paradigm shift. It’s such a pleasure to be a part of it and so rewarding to be able to be accepted. This paradigm shift is only going to happen once and to be involved in it at this level has been a true pleasure and a really humbling honor. I just hope that we can do it at the level of where it should be at. Just appreciation to the community and everyone who has embraced us and we look forward to expanding our reach. There are a million potential readers out there who haven’t heard of Cannabis Now and I really look forward to growing to a level where we can introduce ourselves to them. Eugenio Garcia: Competition. Where there’s opportunity, there’s going to be talented people, thinking about how they can do it better, faster and cheaper. And I like I said; we’re a small fish swimming in a big ocean and I’m not worried about a bigger fish swallowing us up; acquisitions happen, that’s part of business. What I’m worried about is being swept away by the current and not being able to keep up with the school. I think that’s part of why we’re raising equity capital right now is to be able to make that needed expansion.